Previously in Stick Cats: When the Deco-Kitty showed up to kill the Stick Cats, Marmalade slipped into berserker attack mode! 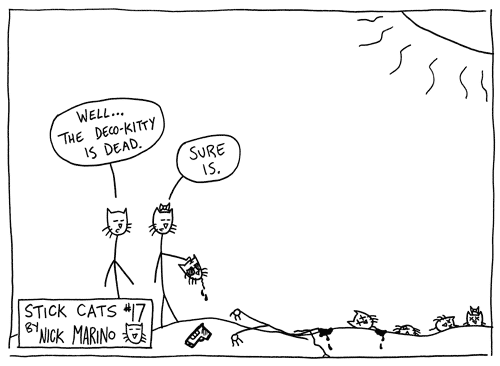 ...And it's taking them this long to kill a cat with 2 (er, 3) less heads? hahahaha BUT THE OCTO-KITTY IS SUPER SNEAKY!!! 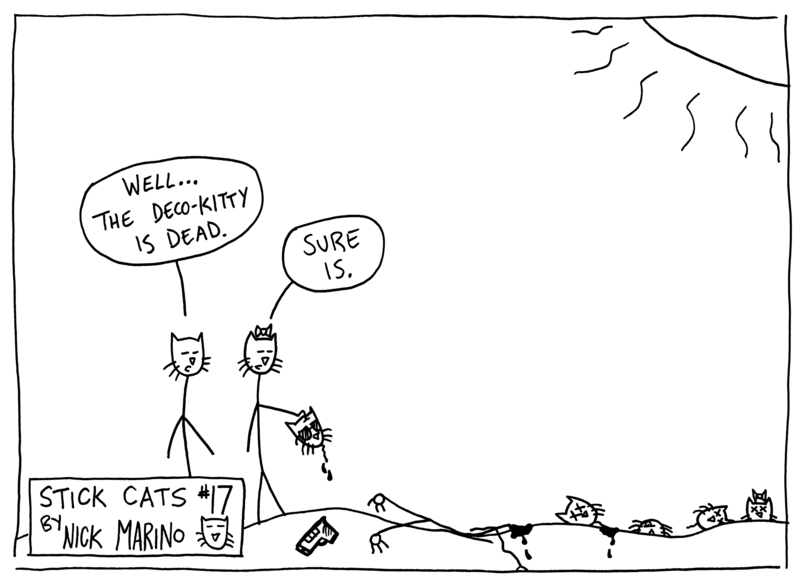 the Deco-Kitty was dumb enough to confront them.